Aegidius Sadeler or Aegidius Sadeler II (1570–1629) was a Flemish engraver who was principally active at the Prague court of Rudolf II, Holy Roman Emperor and his successors. Sadeler was born in Antwerp in the Sadeler family of print dealers and engravers. He was the son of Emmanuel de Sayeleer and the nephew of Aegidius I, Jan I en Raphael Sadeler. He was trained by his uncle Jan I and became a member of the Antwerp Guild of St. Luke in 1589. He was active in Munich the next year in 1590, in Rome in 1593, in Naples and then again in Munich in 1594-1597. From 1597 he settled in Prague where he became court engraver for Rudolf II and made engraved portraits of notables and engravings after artworks there, most notably paintings by Bartholomeus Spranger, Roelant Savery, Hans von Aachen, Giuseppe Arcimboldo, and sculptures by Giambologna and Adriaen de Vries. His early engavings were mostly faithful copies of works by Albrecht Dürer in the Imperial collection and copies of paintings by notable Italian painters such as Raphael, Tintoretto, Parmigianino, Barocci and Titian or by Northern painters who worked there, such as Paul Bril and Denys Calvaert. In Prague he also engraved portraits of the notables of Rudolf's court, and collaborated with Spranger, Joseph Heintz the Elder and Jacobus Typotius. After Rudolf II died he enjoyed the favour and protection of the two succeeding Emperors, Matthias and Ferdinand II. According to Michael Bryan, "He used the graver with a commanding facility, sometimes finishing his plates with surprising neatness, when the subject required it; at other times his burin is broad and bold. His plates are very numerous, representing historical subjects, portraits, landscapes, &c. some of them from his own designs, many of which are much esteemed, particularly his portraits, which are executed in an admirable style. Sadeler died in Prague in 1629. He had many pupils, including Wenzel Hollar and Joachim von Sandrart, who wrote his biography. Emperor Rudolf on horseback, with a Battle in the background; after Adriaen de Vries. The Empress Anne, his consort. 1616. The Emperor Ferdinand II on horseback; in two sheets. 1629. 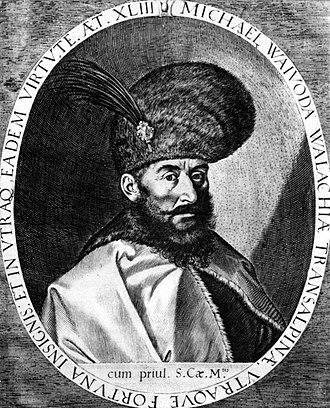 Sigismund Báthory, Prince of Transilvania. Burkhard von Berlichingen, Privy Counsellor to Rudolf II. 1601. Peter Breughel, Painter, of Brussels. 1606. Franz von Dietrichstein, Cardinal and Bishop of Olomouc. 1604. Christopher Guarinonius Fontanus, Physician to Rudolf II. Hieronymus Makowsky, gentleman of the privy chamber to Rudolf II. 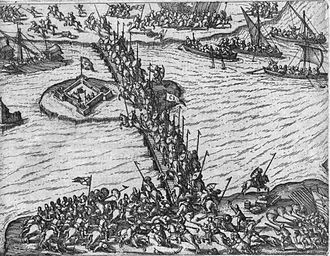 1603. Maerten de Vos, Painter of Antwerp. John Matthew Warenfels, Aulic Counsellor. 1614. A set of twelve plates, representing Angels with the Instruments of the Passion. A set of fifty-two Views near Rome, entitled Vestigi delle Antichita di Roma. The Burning of Troy, an etching; 2Eg. Sadeler, fecit, aqua forti. Charity, represented by a female figure with three children. Narcissus admiring himself in a Fountain. St. Sebastian dying, with an Angel drawing out the Arrows from his side. St , Dominick receiving the Institution of his Order from St. Peter and St . Paul." Altogether at least ten Sadelers worked as engravers, in the Spanish Netherlands, Italy and Austria. The Sadelers were descended from chasers, engravers of armour, from Aalst, Jan de Saeyelleer or Sadeleer had three sons, all usually called Sadeler, Jan I, Aegidius I and Rafael I. Another Sadeler, Marcus or Marco, was a printer and perhaps publisher who was working in Haarlem in c, 1586-87, and is presumed to be a member of the family, though it is not known where he fits in. Jan I was the father of Justus and Marcus Christoph, Aegidius I was the father of Aegidius II. 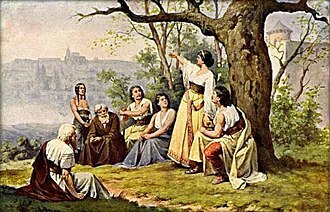 Rafael I was the father of Rafael II, Jan II, Aegidius II was the father of Tobias, who was active from 1670-75 in Vienna. Jan was in Antwerp by 1572, it was the centre of the printmaking world, in that year he became a master of the artists Guild of Saint Luke, and married in Antwerp Cathedral. By 1569 or 1570 he was doing work for the publisher Christopher Plantin and his younger brother Rafael I joined him there, and they continued to work closely together, moving to Cologne in about 1579, but continuing to visit Antwerp. They first went, accompanied by their nephew Aegidius II, to Verona, Venice from 1596/7, in 1604 Rafael returned to Munich, where he remained for most of the rest of his life, of which the last record comes in 1622. Jans son Marcus, or Marco, remained in Italy as a publisher and artist, three of their best-known prints after the Bassani are known as the Sadeler kitchen scenes. They show respectively Christ in the house of Mary and Martha, at Emmaus, Aegidius Sadeler was a painter, and a leading Northern Mannerist engraver, the best of the dynasty. After a trip to Naples he moved to Prague in 1597 and he lived for some time in the house of Bartholomeus Spranger, whose works he engraved. As the more important figure, references to just Aegidius Sadeler are more likely to mean him than his father and he painted, although no works certainly by him survive. His early works were mostly religious prints after Northern painters, several in sets, in Italy he added Northern painters working in Italy, such as Paul Bril and Denys Calvaert, as well as Italian masters both some generations older (Titian, Raphael and contemporary. Roelant Savery, was a Flanders-born Dutch Golden Age painter. Like so many artists, he belonged to an Anabaptist family that fled north from the Spanish-occupied Southern Netherlands when Roelant was about 4 years old. He was taught painting by his older brother Jacob Savery and Hans Bol, after his schooling, Savery traveled to Prague around 1604, where he became court painter of the Emperors Rudolf II and Mathias, who had made their court a center of mannerist art. Between 1606-1608 he traveled to Tyrol to study plants, before 1616 Savery moved back to Amsterdam, and lived in the Sint Antoniesbreestraat. In 1618 he settled in Utrecht, where he joined the artists guild a year and his nephew Hans would become his most important assistant. In 1621 Savery bought a house on the Boterstraat in Utrecht. The house had a garden with flowers and plants, where a number of fellow painters. Savery had kept his house in Amsterdam, and had one child baptized in Nieuwe Kerk, Savery was friends with still life painters like Balthasar van der Ast and Ambrosius Bosschaert. In the 1620s he was one of the most successful painters in Utrecht, though he would have pupils until the late 1630s, amongst which Allaert van Everdingen and Roelant Roghman, he went bankrupt in 1638 and died in Utrecht half a year later. He painted multiple flower still lifes, bouquets in stone niches, sometimes with lizards, insects or fallen petals and regarded as his best work. His unique style of painting, related to the reigning Mannerism, has been popular with collectors and can be found in many museums in Europe. His preparatory drawings are valued highly, among his best-known works are several depictions of the now-extinct dodo painted between 1611 and 1628. Jan Savery was known for his paintings of the dodo, Savery is famous for being the most prolific and influential illustrator of the extinct dodo, having made at least ten depictions, often showing it in the lower corners. 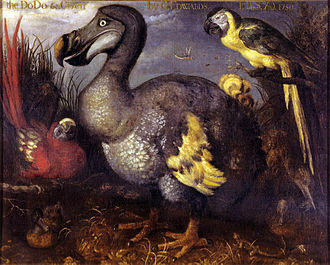 A famous painting of his from 1626, now called Edwards Dodo as it was owned by the ornithologist George Edwards, has since become the standard image of a dodo. Bartholomeus Spranger was a Flemish painter, draughtsman and etcher who became a painter to the imperial court in Prague. His unique style combining elements of Netherlandish painting and Italian influences, in particular the Roman Mannerists, had an important influence on artists in Prague. He trained with Cornelis van Dalem, Jan Mandijn, and Frans Mostaert and he further copied prints of Frans Floris and Parmigianino. He traveled to Paris on 1 March 1565 where he worked for six weeks in the workshop of Marc Duval and he travelled on to Italy, where he first stayed for eight months in Milan. 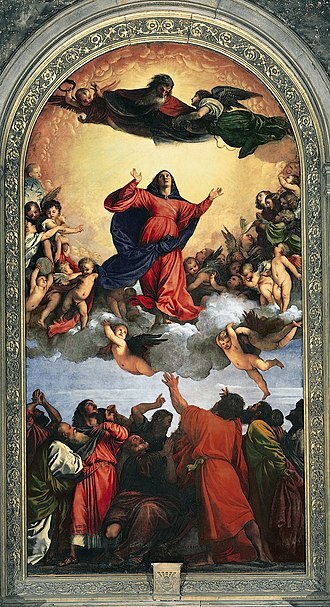 He worked for three months in Parma as an assistant to Bernardino Gatti on the painting of the dome of the Santa Maria della Steccata and he worked on wall paintings in various churches. In Rome he became, like El Greco, a protégé of Giulio Clovio, here he met Karel van Mander who would include a biography of Spranger in the Schilder-boeck. Pope Pius V appointed him court painter in 1570 and he was summoned to Vienna by Maximilian II, Holy Roman Emperor, who died soon after his arrival in 1576. 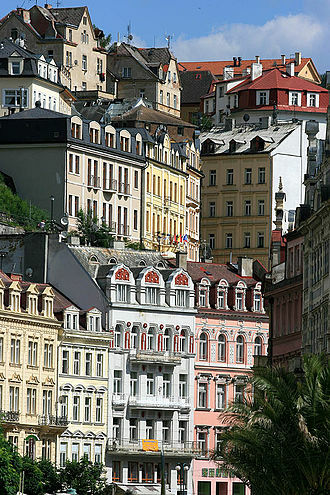 Rudolf arranged a marriage for him, and his house was a centre for artists in Prague. Sprangers paintings for Rudolf mostly depict mythological nudes in various complex poses and his paintings are the most characteristic of the final phase of Northern Mannerism. By far the best collection is in Vienna and his drawings have great energy, in a very free technique. Spranger worked as a sculptor and he may have a acquired his knowledge of sculpture through his collaboration with the Flemish sculptor Hans Mont, who worked at the Prague court. After Mont left the Prague court, Spranger appears to have worked intermittently as a sculptor for the emperor, a terracotta relief of the Body of Christ Supported by an Angel is by his hand. The Walters Museum holds a bronze Achelous and Deianeira which is attributed to him, there is no record of any sculpture by Spranger in Rudolf II’s collection. Aegidius Sadeler, who lived in his house in Prague for some time, much the best collection is in the Kunsthistorisches Museum in Vienna, mostly from the Imperial collection. Giuseppe Arcimboldo was an Italian painter best known for creating imaginative portrait heads made entirely of objects such as fruits, flowers and books. Giuseppes father, Biagio Arcimboldo, was an artist of Milan, like his father, Giuseppe Arcimboldo started his career as a designer for stained glass and frescoes at local cathedrals when he was 21 years old. In 1562, he became court portraitist to Ferdinand I at the Habsburg court in Vienna and he was the court decorator and costume designer. Augustus, Elector of Saxony, who visited Vienna in 1570 and 1573, saw Arcimboldos work, at a distance, his portraits looked like normal human portraits. However, individual objects in each portrait were actually overlapped together to various anatomical shapes of a human. They were carefully constructed by his imagination, the assembled objects in each portrait were not random, each was related by characterization. The animal tails, which became the beard of the portrait, were used as dusters, by using everyday objects, the portraits were decoration and still-life paintings at the same time. His works showed not only nature and human beings, but how closely they were related, after a portrait was released to the public, some scholars, who had a close relationship with the book culture at that time, argued that the portrait ridiculed their scholarship. In fact, Arcimboldo criticized rich people’s misbehavior and showed others what happened at that time through his art. In The Librarian, although the painting might have appeared ridiculous, it contained a criticism of wealthy people who collected books only to own them. Art critics debate whether his paintings were whimsical or the product of a deranged mind, Arcimboldo died in Milan, where he had retired after leaving the Prague service. It was during this last phase of his career that he produced the portrait of Rudolph II. His Italian contemporaries honored him with poetry and manuscripts celebrating his illustrious career, when the Swedish army invaded Prague in 1648, during the Thirty Years War, many of Arcimboldos paintings were taken from Rudolf IIs collection. Self-portrait in a Convex Mirror (c. 1524, age about 21). Kunsthistorisches Museum, Vienna. Annunciation (1592–96) Oil on canvas, Santa Maria degli Angeli, Perugia. Still life (130x80cm, 1624). The largest painting he ever made, with 44 different species of animals and 63 species of flowers. Roelant Savery in Cornelis de Bie's Het Gulden Cabinet. The Dietrichstein Palace (current Moravian Museum), residence of Franz von Dietrichstein in Brno.